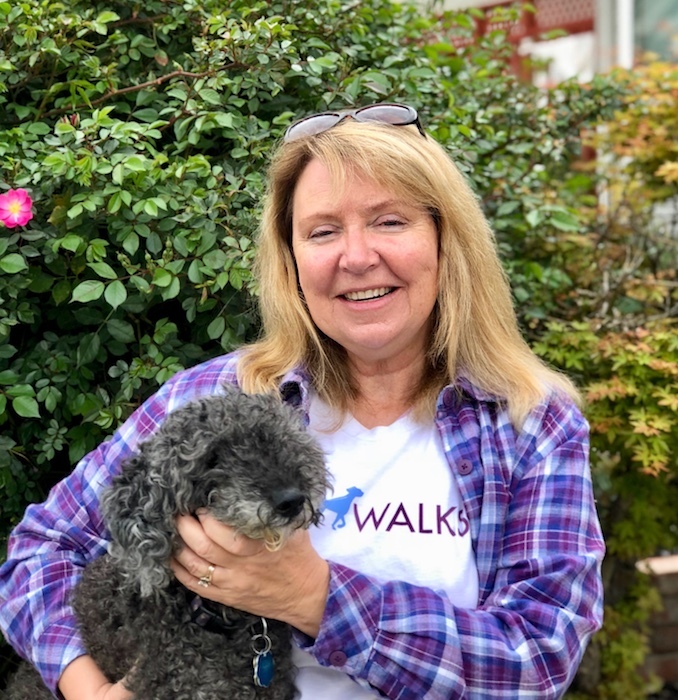 Ashley comes to us with years of petsitting and walking experience here in the TriValley area and we are so happy to have another walker on our team who is truly passionate about dogs! Ashley has experience with many breeds and personalities and splits her time between nannying and dog walking during the week. Ashley is pictured here with Jack who is a shy and sweet dog that we walk Pleasanton. Jack took to Ashley right away and gave her the thumbs up :) Welcome Ashley! Erica comes to us with with years of petsitting and walking experience and has joined our team in the West Dublin area. 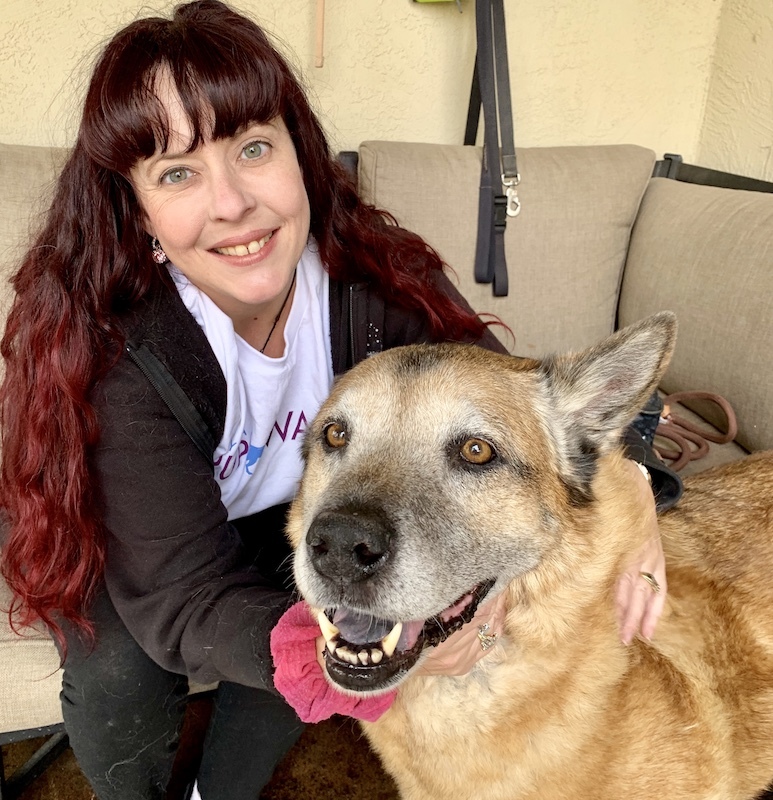 Erica is so devoted to dogs that she was commuting from Dublin to SF to care for dogs but finally found a way to what she lives much closer to home! Erica has such a kind disposition and calm energy, dogs gravitate towards her naturally. We are so happy that she has joined us! Erica is pictured here with her big happy, happy English Lab. Welcome Erica! Jessica brings her positive energy and veterinary experience to the Pleasanton team. Jessica is highly organized, experienced with handling a wide variety of breeds, and empathetic towards all animals! She worked as a veterinary assistant for a few years and knows how to gain the cooperation of virtually any dog since she understands the principles of R+ training well. When she's not walking dogs, can usually find her spending time with her partner and furkids. We are so happy to have her walking for us! Welcome Jessica!! We are so happy to add Leanna to our Tri-Valley team! One of the things that really impresses us as we sift through dozens of applications is when someone applies with not only fantastic dog knowledge and experience, but who's enthusiasm for dogs is immediately apparent when we read the application. Not surprisingly, Leanna comes to us with experience with wildlife rehabilitation, professional grooming, petsitting, and veterinary care. She is so excited to join our team and share her passion for dogs with us! Leanna walks dogs in Dublin and Livermore and is a fabulous fit for many breeds and temperaments. Linda is another member of our Pleasanton team. She fit in immediately with her new clients and dogs! Linda has lived in Pleasanton for many years and always wanted to work with dogs. She is overjoyed to be doing something she loves every day! Linda is experienced with a wide variety of dog breeds and came to us with previous petsitting and dog walking experience as well. When not out walking dogs, Linda can be found spending quality time with her children and family. Her 16year old poodle Molly is always close by, happy to be close to “mom”. Megan has joined our team in West Dublin and surrounding areas and we are so happy to have yet another dog enthusiast on our team. is still serving her loyal grooming clientele on weekends and evenings and taking excellent care of her PupWalks dogs during the day. In her spare time you can find her spending time with her husband and two kitties. Welcome, Megan!! She lives and walks dogs in Pleasanton. She is also one of our founders and leads the East Bay team. Robin has quite the large pack with 4 dogs of her own. 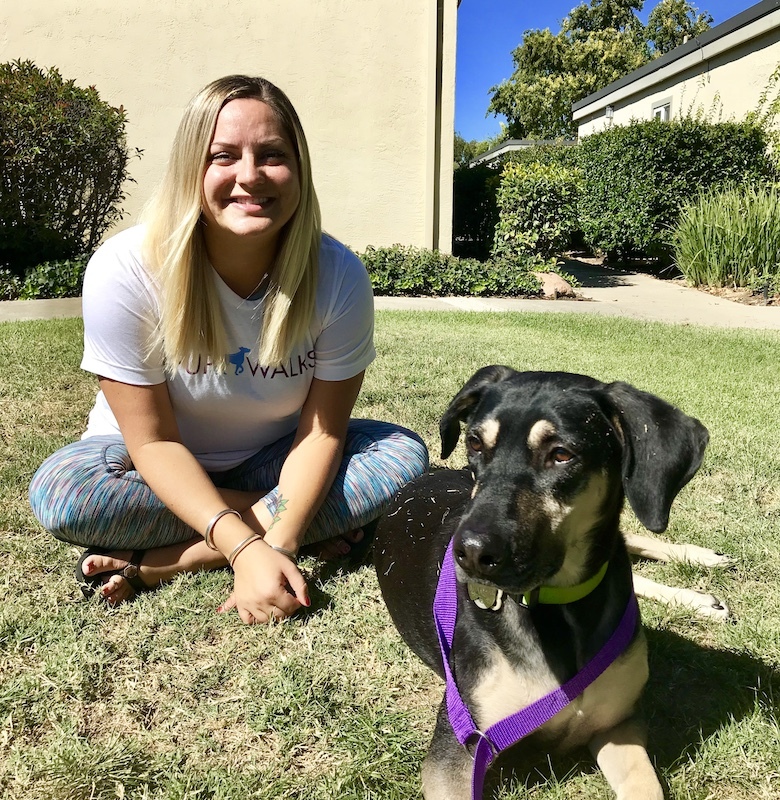 Robin has worked as a veterinary technician, international spay/neuter surgery assistant, dog trainer, and rescue volunteer (including fostering and evaluation). Please meet Sharon, she is a fabulous and fun walker who takes clients in the Livermore/ Dublin area. She has lots of experience with dogs. As a veterinary technician, at dog daycares, as a dog walker, and overnight pet sitter. Miya is a recently adopted puppy who just met her new walking buddy. Sharon will love be a part of her puppyhood and helping to guide her development into a wonderful adult dog.